We are now looking at Netscape Messenger. 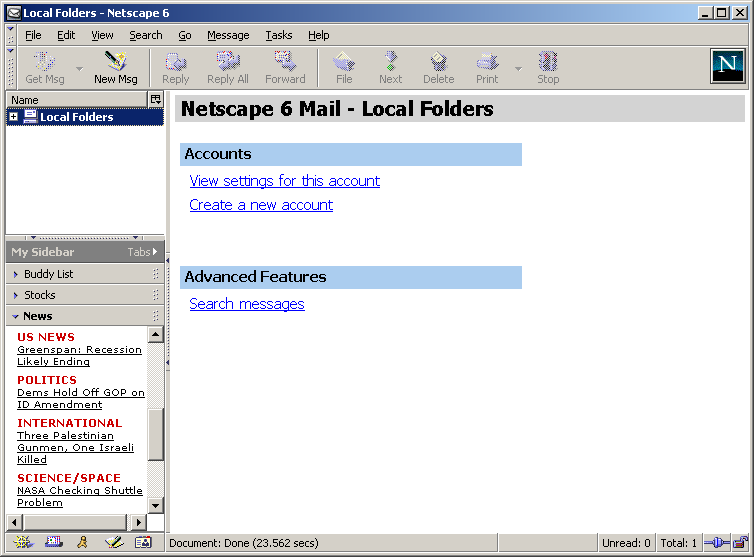 In the left-hand pane, just above the sidebar, Netscape lists the folders for the mail accounts that it has been setup to check. To setup the program to check an email account click "Create a new account" in the right-hand pane. Alternatively, you may click Edit and work your way in through its menu. To continue this tutorial click "Create a new account."